Dr. Achong is a Board Certified Oral & Maxillofacial Surgeon in the Clermont and Orlando area. He was born in Trinidad & Tobago and raised in Canada. He received a Bachelor of Science degree in Biology with honors from the University of Toronto and his Doctorate in Dentistry with honors at Harvard University. 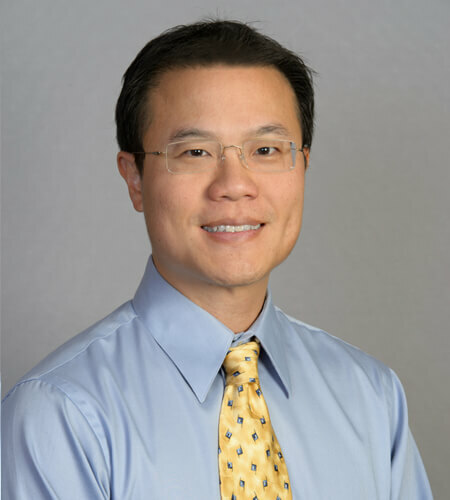 Dr. Achong obtained a Medical Degree and received a certificate in Oral and Maxillofacial Surgery from Louisiana State Universityafter obtaining extensive training in facial trauma, jaw reconstruction, dental implant procedures, sedation, bone grafting, wisdom teeth removal, removal of teeth, facial cosmetics, oral cancer, and corrective jaw surgery. Dr. Achong is a member of local, state, and national organizations and continues to bring the latest advancements in technology to his practice by participating in regular continuing education. He is a Diplomate of the American Dental Society of Anesthesia. 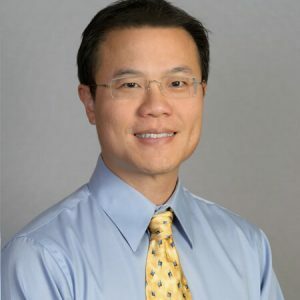 Furthermore, he is board certified by the American Association of Oral and Maxillofacial Surgeons and maintains active memberships in the American Dental Association and Florida Dental Association. Dr. Achong holds active dental and medical licenses in the State of Florida and holds dental licenses in New Hampshire and Canada. Dental implants and bone grafting procedures are the clinical focus areas for Dr. Achong. Additional interests include oral pathology, removal of teeth (including wisdom teeth) and sedation. Dr. Achong is a a Top Oral & Maxillofacial Surgeon on Health Tap. Click on the following link to see Dr. Achong on Health Tap. Health Tap Oral Surgeon. 1999-2005 Certificate of Oral & Maxillofacial Surgery. Louisiana State University, New Orleans, Louisiana. 2002-2003 Internship in General Surgery, New Orleans, Louisiana. 1999- 2002 M.D., Louisiana State University, School of Medicine. New Orleans, Louisiana. 1995-1999 D.M.D., Harvard University, School of Dental Medicine. 1991-1995 B.S. Honors, University of Toronto, Canada. Diplomate of American Dental Society of Anesthesiology. North East Regional Dental Boards. National Canadian Dental Boards, Canada. Member of American Association of Oral & Maxillofacial Surgery (AAOMS). October 2002 Prospective Evaluation of Single Tooth Implants Placed into Edentulous Sites Without Previous Grafting. Oral Abstract Presentation. American Association of Oral & Maxillofacial Surgeons; 84 th Annual Meeting. Chicago, Illinois. October 5th, 2002. May 2001 Peripheral Ameloblastoma: Case Report and Review of Literature. Oral Abstract Presentation. Oral Medicine Meeting; 55th Annual Meeting. Montreal , Canada. October 2000 Comparison of the Morbidity of Zygomaticus Implants with Sinus Iliac Grafts. American Association of Oral & Maxillofacial Surgeons; 82 nd Annual Scientific Meeting. San Francisco, California. September 22nd, 2000. August 2006 Implants in HIV-Positive Patients: 3 Case Reports. J Oral Maxillofac Surg 64:1199-1203 August 2006. July/August 2006 Chronic Craniofacial Dematiaceous Fungal Infection: A Case Report. Special Care Dentistry 26 (4): 155-158, July/Aug 2006. March 2006 Bone Morphogenetic Protein for Sinus Augmentation. Atlas of Oral & Maxillofacial Surgery Clinics of North America. Vol 14, #1:99-106, March 2006. February 2006 Sinus Floor Augmentation: Simultaneous Versus Delayed Implant Placement. The Sinus Bone Graft 2 nd ed. Chapter 5, p 53-66. Quintessence Publishing Co, Inc. Hanover Park, Illinois. Dec 2005 Dental implants in the HIV-positive patient – Case report and review of the literature. General Dentistry Vol 54:434-437, Nov/Dec 2005. June 2005 Kaposi’s sarcoma of lymph node leading to a diagnosis of HIV. Oral Oncology. Oral Oncology 41:243-237, 2005. April 2004 Osseointegration. Peterson’s Principles of Oral & Maxillofacial Surgery, 2 nd ed., chapter 10, Vol 1: p 189-203. Becker Inc. Canada , DC.